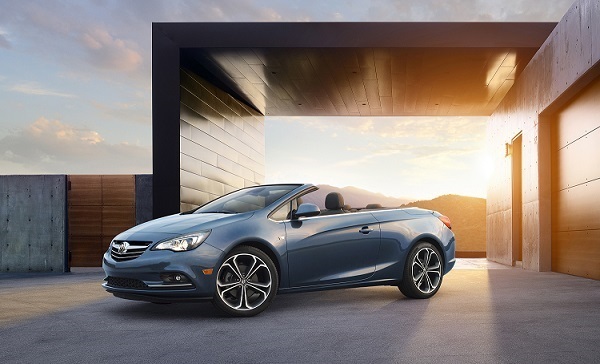 Designed from the outset as a convertible, the Buick Cascada has a flowing, sculpted profile, with fast-raked A-pillars that convey a wind-in-the-hair flair. When lowered, the top folds neatly and completely beneath a hard tonneau behind the rear seats, giving the car a pure open-air aesthetic. Incorporate the concept automatic park-and-retrieval technology, which enables the driver to exit the vehicle and tell the Bolt EV concept to park itself – and when errands are completed, the Bolt EV concept can be summoned to return to the owner’s location. 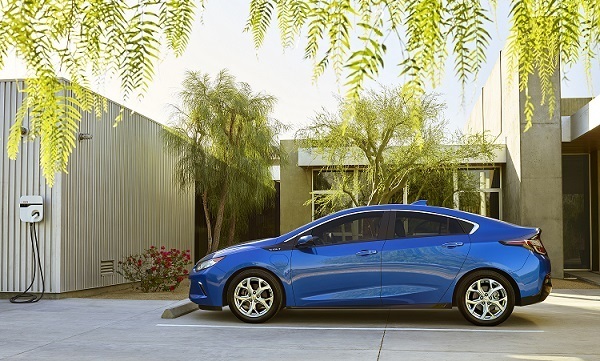 The 2016 Volt goes on sale in the second half of 2015. Ford The blue oval gang arguably stole the show with the introduction of the second generation, all new Ford GT and the equally new Mustang GT 350R. The all-new GT, an ultra-high-performance supercar serves as a technology showcase for top EcoBoost® performance, aerodynamics and lightweight carbon fiber construction. The GT is one of more than 12 new Ford Performance vehicles coming by 2020. It joins Focus RS, F-150 Raptor, Shelby GT350 and Shelby GT350R in the growing Ford Performance lineup. Beginning production late next year, the GT hits the road in select global markets to celebrate the 50th anniversary of Ford GT race cars placing 1-2-3 at the 1966 24 Hours of Le Mans. The all-new GT supercar features rear-wheel drive, a mid-mounted engine, and a sleek, aerodynamic, two-door coupe body shell. It is propelled by the most powerful EcoBoost production engine ever – a next-generation twin-turbocharged EcoBoost V6 producing more than 600 horsepower. The GT makes extensive use of lightweight materials, including carbon fiber and aluminum – enabling outstanding acceleration and handling with improved efficiency. These include advanced active aerodynamics, such as a deployable rear spoiler, and a host of material and technology innovations to help better serve the driver, such as SYNC® 3 – the latest version of Ford’s advanced connectivity system. Few innovations provide a more wide-ranging performance and efficiency advantage than reducing weight. All factors of a vehicle’s capabilities – acceleration, handling, braking, safety, efficiency – can improve through the use of advanced, lighter materials. The all-new GT features advanced lightweight composites, which will help serve Ford’s entire product lineup moving forward. With the broad application of structural carbon fiber elements, the GT will exhibit one of the best power-to-weight ratios of any production car. Anchored by a carbon fiber passenger cell, the GT features aluminum front and rear subframes encapsulated in structural carbon fiber body panels. Carbon fiber is one of the world’s strongest materials for its mass – enabling an ultra-stiff foundation for chassis components, while creating a lighter overall package for increased dynamic performance and efficiency Power comes from the next-generation twin-turbocharged 3.5-liter EcoBoost V6, which in the GT features a wide powerband with impressive time-to-torque characteristics. The engine demonstrates remarkable efficiency – a key attribute of its endurance racing-derived powertrain, where exceptional performance combined with efficiency is a critical competitive advantage. Ford’s twin-turbo EcoBoost V6 raced to three wins in its first season of the IMSA TUDOR United SportsCar Championship in 2014, including a win in the prestigious 12 Hours of Sebring, along with seven podiums over more than 15,000 endurance racing miles. The GT features an all-new, port/direct dual fuel-injection setup to improve engine response, plus a low-friction roller-finger-follower valvetrain. The twin-turbocharged EcoBoost V6 will be paired with a seven-speed dual-clutch transaxle for near-instantaneous gear changes and exceptional driver control The other big player at Ford's auto show presentation was of course, the new Shelby® GT350R Mustang, the most track-ready road-going production Mustang ever built, according to a company news relea In 1965, Ford and Carroll Shelby developed a road-racing version of the popular Ford Mustang – the Shelby GT350 Competition model. Lighter, more powerful and with a highly developed suspension, it is one of the most iconic racing Mustangs ever produced. Arriving later this year, the new Shelby GT350R has been designed and engineered in the same spirit, delivering never-before-seen track capability from a Mustang – thanks to innovations in aerodynamics, chassis engineering and light-weighting. “The Shelby GT350R Mustang is a no-compromise car in the pursuit of maximum track capability,” said Raj Nair, Ford group vice president, Global Product Development. “It is a thoroughbred street car making use of technology and ingenuity to deliver performance few enthusiasts have ever experienced.” The car features the first-ever production V8 from Ford with a flat-plane crankshaft – the most powerful naturally aspirated engine Ford has ever produced – plus a specially tuned suspension. It is fitted with revised spring rates and antiroll bars, lower ride height, unique track-tuned alignment settings, revised bushings and jounce bumpers, cross-axis ball joints in the front suspension, and revised calibration controlling the MagneRide dampers. “The Shelby GT350R Mustang is a car with the nimbleness and power delivery you want on a road course,” said Nair. “This isn’t just about horsepower. The Shelby GT350R is an all-around balanced athlete – one that is extraordinarily precise and agile.” Lightweight carbon fiber wheels are standard on Shelby GT350R, making Ford the first major automaker to introduce this innovative wheel technology as standard equipment. Carbon fiber wheels have been offered on only a handful of exotic supercars and will benefit Shelby GT350R performance by shaving critical unsprung weight and reducing rolling inertia. The 19x11-inch front and 19x11.5-inch rear wheels provide approximately 13 pounds of unsprung weight reduction per wheel and offer higher levels of stiffness than equivalent aluminum wheels. The lightweight wheels will be shod in Michelin’s top-shelf Pilot Sport Cup 2 high-performance tires with rubber compound and a construction unique to Shelby GT350R. This combination of incredibly stiff and light wheels with bespoke tires offers customers exceptional steering feel and levels of performance. 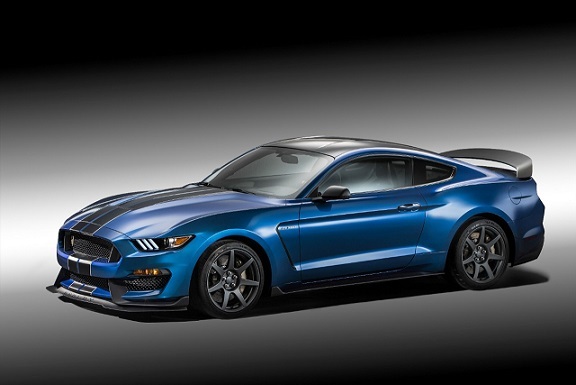 Ford engineers delivered against aggressive targets for weight reduction on the Shelby GT350R. If a part did not make the car faster around a road course, it was considered for deletion. Items removed include air conditioning, the stereo system, rear seats, trunk floorboard and carpet, backup camera and emergency tire sealer and inflator. Exhaust resonators also have been removed for weight savings with the benefit of creating a sharper exhaust tone. Shelby GT350R is more than 130 pounds lighter than the Shelby GT350 Track Pack model, which has proven its durability in multiple 24-hour racetrack tests. For customers seeking more comfort in their Shelby GT350R, Ford is offering an optional Electronics Package. Included is dual-zone air conditioning, 8-inch touch screen with navigation, seven-speaker audio system, turn signal mirrors and more. The new 5.2-liter dual-overhead-cam V8 engine is the first-ever production V8 from Ford with a flat-plane crankshaft – an architecture typically found only in racing applications or exotic European sports cars. Unlike traditional V8s, where the connecting rods are attached to the crankshaft at 90-degree intervals, this design evenly spaces all crank pins at 180-degree intervals to optimize high-speed engine breathing. It is the most powerful naturally aspirated production Ford engine ever, with more than 500 horsepower and more than 400 lb.-ft. of torque. An air-to-oil engine oil cooler typically found only on race cars maintains engine temperatures under the most severe conditions, as does a standard cooler for the six-speed manual transmission. A Ford-tuned limited-slip Torsen differential with 3.73 axle ratio is optimized for cornering grip and straight-line traction, while an electronically modulated rear-mounted air-to-oil differential cooler maintains ideal temperatures during track driving. Aside from carbon fiber wheels, larger front splitter and rear wing, Shelby GT350R features distinct design details. Exterior touches include red painted brake calipers, red pin striping at the edges of the optional over-the-top racing stripes and Shelby GT350R badging. Inside is high-contrast red stitching, Shelby GT350R badging and the D-shaped steering wheel fitted with a red center mark at the top. Acura If you want to know how important Acura's new NSX is to the auto industry, all you had to do is look at the huge crowd its unveiling, competing for a look at it. enty-five years after the debut of the original, paradigm-shifting NSX supercar, Acura revealed the production version of its highly anticipated successor—the next-generation Acura NSX, developed and produced in the U.S.—to the world's auto media at the 2015 North American International Auto Show. The production model, in a scintillating NSX Red finish, took the stage with a growl from its twin-turbocharged engine. 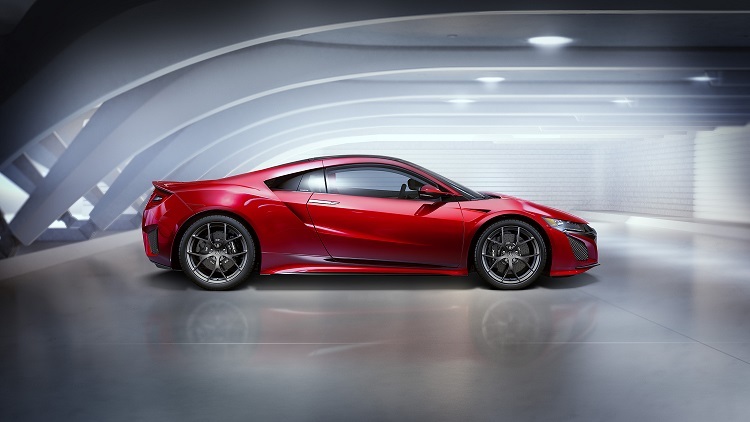 The next generation NSX showcases the production styling, design and specifications of Acura's mid-engine sports hybrid supercar, and Acura announced key details of the all-new vehicle's design and performance. The company will begin accepting custom orders for the new NSX starting in the summer, with customer deliveries expected later in the year. Specifically created to bring a "new sports experience" to the supercar segment, the NSX challenges conventional beliefs about supercars — much as the first generation did a quarter century ago. T he approach is realized through an all-new power unit—a twin-turbocharged 75-degree DOHC V6 engine with a 9-speed dual clutch transmission (DCT) and three-electric motor Sport Hybrid system—integrated with an ultra-rigid and lightweight multi-material body with world's-first material applications and manufacturing processes. Developed under the concept of a "human-centered supercar,” a car that puts the driver first in every aspect of its design, the next-generation NSX will leverage its state-of-the-art hybrid supercar power unit, body and chassis to deliver exceptionally intuitive and immediate response to driver inputs. "Our commitment was to create an all-new NSX that is true to the heritage of NSX—a supercar that delivers a new driving experience, one where every part of the vehicle is respectful of the smartest part of the car, the driver," said Mike Accavitti, senior vice president and general manager of the Acura division. "The soul of a car is the emotional connection it makes with the driver. With the NSX, that connection will be intense and immediate." As the pinnacle representation of Acura performance and prestige, the NSX was introduced at the auto show under the theme of "Precision Crafted Performance." The theme was the original tagline for the Acura brand, a guiding force behind the development of the original NSX and a critical component of its launch. The development of next-generation NSX, driven by precision crafted performance, has resulted in a clean-sheet design, which involved nearly three years of intensive development effort by a global design and engineering team led by engineers at the company's development center in Raymond, Ohio. "The NSX reflects Acura's American roots and makes a powerful statement about the strong role being played by our North American operations in envisioning and building the future of Acura," said Erik Berkman, executive vice president of the Acura Business Planning Office. "Our global team embraced the challenge to create a new sports car experience, leveraging new technology to deliver incredibly vivid performance in a vehicle that responds intuitively and immediately to the will of the driver," said Ted Klaus, chief engineer and global development leader of the new NSX. "The NSX delivers pinnacle supercar performance, with zero-delay acceleration and exhilarating, confidence-inspiring driving dynamics." "The new NSX is a product of what we term 'Interwoven Dynamic' design," said Michelle Christensen, NSX exterior design project leader. "It represents the ideal blending of exotic sports car form and supercar function." The NSX body features classic low and wide proportions married to modern and alluring surfacing, an aggressive front design, and tail lights that pays homage to the original NSX. The signature side intake and floating C-pillar collects air to feed the mid-mounted engine and directs airflow over the rear deck to increase downforce. To accommodate the new longitudinally mounted twin-turbo V6 and 9-speed DCT, the production vehicle was lengthened (+3 inches) and widened (+1 inch) with a slightly more cab-forward package, compared with the proportions of the NSX Concept shown in 2012. Every element of the exterior body design has been carefully fashioned for total airflow management for both stability-enhancing downforce and vehicle systems cooling. The NSX has undergone extensive testing at the company's state-of-the-art wind tunnel in Raymond, Ohio, leading to a number of significant changes from concept to final body design, including modified hood vents, new front fender vents, modified side air intakes, and an optimized deck spoiler. Lincoln Lincoln, which has been hitting the rebound road hard with the popular MKC, now has another reason to be optimistic aboutr its future: the all new MKX luxury crossover. Designed to compete with models such as the Lexus RX, Cadillac SRX, and Acura MDX, the new MKX has a new, more understated and sophisticated look, and is brimming over with new luxury and technology features. Here is what a news release from Lincoln says about its new MKX: "The MKX is designed to attract a wide range of customers in the United States and beyond by offering more technology, engine choices and personalization options. Lincoln MKX offers the first high-end Revel® audio system in a vehicle, an available advanced 2.7-liter EcoBoost® engine and two all-new available Lincoln Black Label limited-edition designer themes." “We are focused on delivering engaging and refined luxury vehicles with innovative and thoughtful technologies,” said Kumar Galhotra, president of Lincoln. “The all-new Lincoln MKX reflects that focus.” "The all-new Lincoln MKX goes on sale first in the United States this fall, followed by other markets including China, Canada, the Middle East, Mexico and South Korea. The Lincoln MKX further strengthens Lincoln’s position in the global midsize premium utility segment, which represents 11 percent of the global automotive luxury market and is expected to grow to 12 percent by 2018. * It is the one of the largest luxury segments in the United States, representing about one-quarter of the retail luxury automotive market. More power, greater agility Leading the engine choices for the new Lincoln MKX is the available advanced 2.7-liter twin-turbocharged Ti-VCT EcoBoost V6. 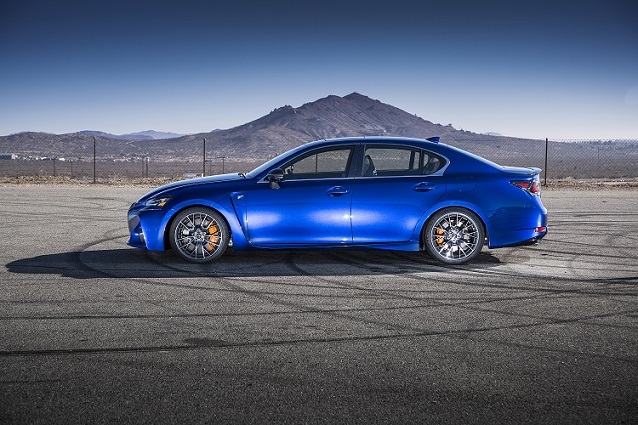 It is projected to deliver more than 330 horsepower and more than 370 lb.-ft. of torque, based on preliminary test data. The standard engine is a 3.7-liter V6, projected to deliver 300 horsepower and 280 lb.-ft. of torque, based on preliminary test data. Both engines are mated to a six-speed automatic transmission with push-button shift and SelectShift®. Front-wheel drive is standard, with Intelligent All-Wheel Drive optional. The addition of the integral link rear suspension, upgrades to the body structure and chassis components, make the new model the best-handling, best-riding and quietest Lincoln MKX ever. Available Lincoln Drive Control, a suite of ride-enhancing technologies, optimizes performance and offers three distinct modes: Normal, Sport and Comfort. The Lincoln MKX has standard electric power-assisted steering and is the first Lincoln to offer adaptive steering. “The new 2.7-liter EcoBoost adds a new level of performance to the all-new Lincoln MKX,” said Chief Program Engineer Elaine Bannon. “The focus is on delivering a total personalized luxury experience for our client: performance, quiet ride, power and technologies that make life easier, all in an environment wrapped in rich materials.” A host of helpful driver aids and technologies are available, including adaptive cruise control, lane-keeping system, blind spot information system, cross-traffic alert and a height-adjustable hands-free power liftgate. 360-degree camera, enhanced park assist "Several available technologies, starting with the 360-degree camera, a first for Lincoln in the MKX, help make all kinds of low-speed parking situations easier. The available front camera deploys from behind the Lincoln Star badging between the two front grilles. The camera system also offers a 180-degree split view, which can be helpful in looking out in cross-traffic situations. The 360-degree view shows up to 7 feet all around the vehicle. Lincoln MKX has an ultrasonic sensing system with 12 sensors enabling the full range of available parking-assist features: front rear side sensing, perpendicular and parallel parking assist and park out assist. Key driver assist and safety innovations added The all-new Lincoln MKX adds pre-collision assist, which may help avoid or lessen the severity some frontal crashes with another vehicle or pedestrian in certain situations and conditions. If the system detects another vehicle or pedestrian, the system will first provide a collision warning and then the system will automatically apply braking if the driver has not taken any corrective action. Also new is the Auto Hold feature, which relieves the driver from having to press the brake pedal continuously to keep the vehicle stationary in traffic. Auto Hold releases the brakes when the accelerator pedal is pressed." First for Lincoln, to enhance driver visibility, available LED headlamps include a feature that adapts when accelerating from 0 to 35 mph by adding width to the low-beam pattern through the use of additional LED reflector elements. Elegance in motion The exterior design is dramatic, with a modern, contemporary silhouette and well-balanced proportions. Available adaptable full-LED front headlamps are subtly executed as blades, rather than projectors, aligned with the horizontal orientation of the split-wing grille. The interior design language creates an open yet cocoon-like environment that is as quiet as it is beautiful. The push-button gear shift creates a dramatic open suspension bridge that flows from the instrument panel to the center console, providing two tiers of open space. Elevated personalized luxury experiences "New available 22-way adjustable front seats with active motion help reduce muscle fatigue in the upper legs and lower back through six adjustable air bladders in the cushion and five adjustable air bladders in the lower seat back. Further adjustments can be made through the four-way power head restraint and the power thigh extender. The thigh bolster deflates to make exit easier and reinflates after entry to the previous setting. Always-on, built-in connectivity is provided through an available embedded modem. Via a smartphone app that communicates with the vehicle, the available MyLincoln Mobile™ app gives owners the ability to start, lock, unlock and locate their vehicle, as well as schedule a remote start. ** Exclusive Revel sound system Uncompromising acoustics and award-winning home theater audio quality comes to the Lincoln MKX through the available Revel audio system. The Revel Ultima system is standard on Lincoln Black Label editions and available on Reserve models. It features 19 speakers with point source architecture, positioning the tweeter and midrange speakers close together for superior audio quality. Further performance and refinement is provided by QuantumLogic® Surround Sound technology, which offers three listening modes – stereo, audience and on stage; patented Clari-Fi™ technology offering advanced, real-time music reconstruction for all compressed audio sources; and a 20-channel high-voltage hybrid amplifier for class-leading dynamics and optimized transparency. A 13-speaker Revel system designed for the ultimate audio quality experience is available on the all-new Lincoln MKX Select and Reserve." Two new Black Label themes "Lincoln Black Label will be available at launch with four designer themes – two of which are all-new. One is inspired by the fashion, lifestyle and art scene of 1920s Paris, while the excitement, passion and pageantry of high-stakes thoroughbred horse racing create the vision for the second new theme. 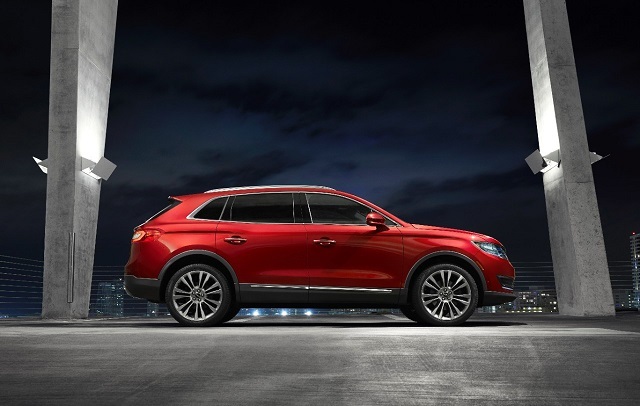 Modern Heritage and Indulgence also will be available on the new Lincoln MKX. Upgraded Lincoln Experiences When the driver with key fob is within approximately 9 feet, the lower LED daytime running lights gently brighten, while “welcome mat” is projected on the ground from the folded mirrors. Door handles are illuminated, too, tuned to the exterior color. Interior sequential lighting begins at the footwell, then illuminates the cupholders, pass-through, instrument panel, front door handles, front map pockets and rear doors. The lighting goes off in reverse order." 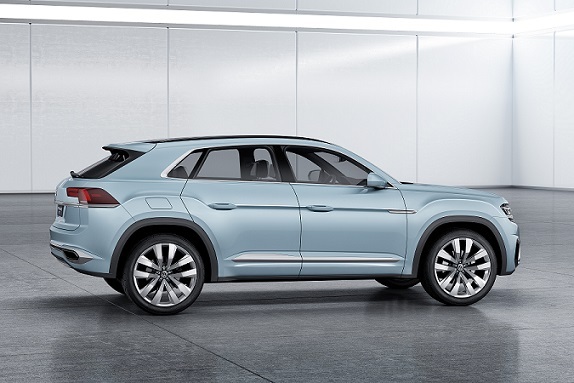 Volkswagen At the end of 2016, Volkswagen will start production of one of its most important new models in the past five decades in Chattanooga, Tennessee: a seven-seater mid-size SUV. As a preview to this vehicle, Volkswagen showed the five-seater Cross Coupe GTE at the North American International Auto Show in Detroit. This stylish and upscale SUV uses a plug-in hybrid system with a maximum output of 355 horsepower and an all-wheel-drive system that uses an “electric driveshaft”. 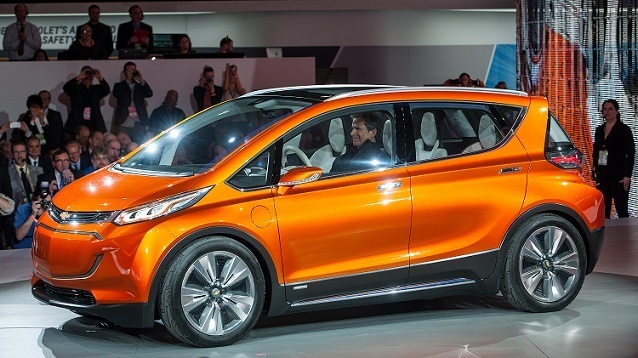 The hybrid has a manufacturer-estimated fuel economy rating of 70 MPGe. Klaus Bischoff, chief designer at Volkswagen says: “The Cross Coupe GTE is the ambassador of a new design language developed by Volkswagen for the U.S." And he continues, "The concept car has a commanding presence; it is powerful with a look that could almost be described as aggressive.” He added, “Numerous details hint at how we envision a future production SUV model for North America. The underlying concept combines German engineering and design with a vehicle that suits the American lifestyle. That means high efficiency, clear and powerful design, logical operation and supreme quality—combined with lots of space, superior performance, and outstanding comfort.” The GTE acronym generally applies to all sporty Volkswagen models with a high-tech plug-in hybrid drivetrain. They offer the driving characteristics of a grand tourer (Gran Turismo or GT) and, thanks to one or more electric motors and a battery (E as in Electric), they also offer zero-emissions driving. 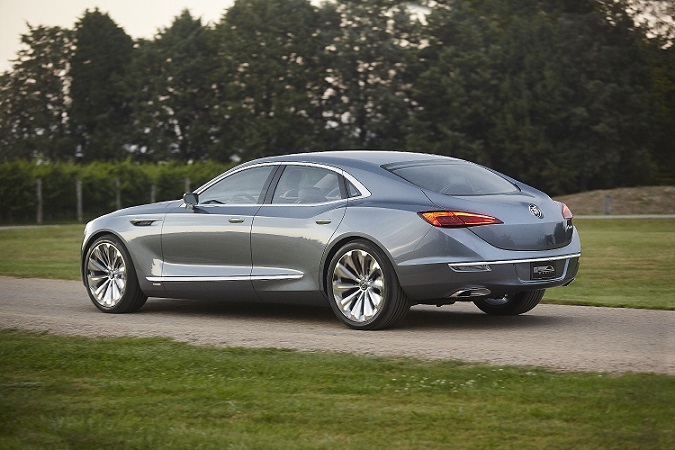 The Cross Coupe has a zero-emissions range of up to 20 miles and can reach 60 mph from rest in just 6.0 seconds. The car has various operating modes: E-Mode, GTE, Hybrid, Off-road and Battery Hold/Battery Charge. The Cross Coupe GTE is the third concept car presented by Volkswagen on the way to the production version of the mid-size SUV. Together, all three concepts—the CrossBlue presented in Detroit in January 2013, the CrossBlue Coupe most recently shown in Los Angeles in November 2013 and the Cross Coupe GTE—represent just a part of the wide spectrum of SUV variants that can be produced off Volkswagen’s modular transverse matrix (MQB) architecture. The Cross Coupe GTE, which is painted in Grand Pacific Glacier blue, has an even stronger presence than the concept cars unveiled in 2013. Although all three SUVs were based on the Volkswagen design DNA and have styling features in common, the Cross Coupe GTE’s detailing marks a break with the previous concept cars and thus increases the momentum towards series production. The concept car now presented in Detroit is 190.8 inches long, 79.9 inches wide and 68.3 inches high. Klaus Bischoff says: “The car makes a visual statement from every angle. Regardless of whether you imagine the Cross Coupe GTE in Manhattan, driving along the Pacific Coast Highway in California or in the middle of the Rocky Mountains, this SUV looks upscale everywhere.” The powerful exterior design is characterized by a very clear and logical line structure. The precise edges of the long hood look like they have been cut with a laser. The headlights, turn signals and the radiator grille merge together seamlessly, with two aluminum bars (polished at the front, brushed on top) forming the basic structure of the radiator grille. The design of the lower air inlet is just as striking as that of the radiator grille. The outside is framed by high-gloss black trim, with a polished aluminum insert on the inside that mirrors the corresponding elements on the radiator grille. The LED dual headlights are a particularly striking and distinctive feature, with the outer modules generating the low beam, while the inner ones provide the high beam. The distinctive Daytime Running Light signature will also be seen in future production models. This consists of the four LED headlights and four "LED light wings", two of which are in the radiator grille and two in the lower air intake. 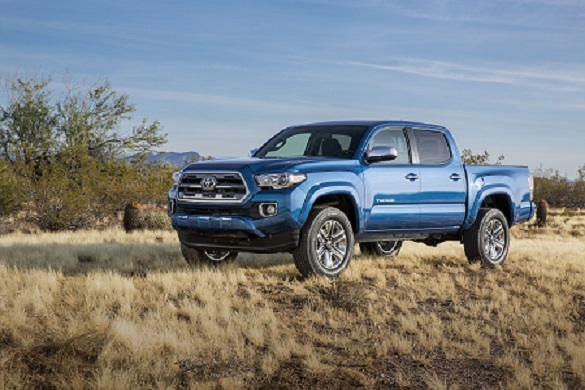 The sharp front ridge of the hood forms a line that extends over the front fenders and below the windows to the tailgate. Another strong character line is formed at a lower level between the wheelarches and incorporates the door handles. Like the entire car, the side profile itself has powerful proportions and an upscale appearance. The combination of an A-pillar that is set a long way back and emphasizes the raised hood, the strikingly sloped C-pillar, and the short overhangs give the design a sporty yet rugged appearance. The overhangs also give the vehicle very competitive ramp breakover, approach and departure angles for excellent off-road performance. The wheelarches emphasize the power and the physical presence of the SUV, and give it an extremely confident stance, a news release says. The wheel arch on the driver's side houses the service flap for the charging plug for the lithium-ion battery and the passenger side has the fuel filler flap. The 22-inch aluminum-alloy wheels, shod with 285/40 tires, have 10 highly polished spokes. At the rear, the side character line feature merges into a polished aluminum trim strip, above which are trapezoidal LED taillights. The Cross Coupe GTE also follows the new Volkswagen design language for the U.S. at the back, with a focus on clearly defined horizontal line structures. The striking design of the rear lights, the strict horizontal look of the tailgate and an aluminum panel extending right across the bumper follow this language. The Cross Coupe GTE not only previews future Volkswagen SUV exterior design—it also shows how Volkswagen designers envision a mid-size SUV interior of tomorrow. This look ahead reveals the consistent further development of two key features of Volkswagen interiors. The first is the clear, horizontal orientation of the interior architecture, especially the control panel. The second characteristic feature of every Volkswagen interior is the self-explanatory and intuitive operation of all elements and systems. Volkswagen will retain this in the age of interactive information and control systems. In the Cross Coupe GTE, the combination of gloss black applications with the seamlessly integrated displays and chrome elements creates a striking new interior design language that is clearly influenced by the German Bauhaus movement. Under the windshield, the concept car features an Ink Blue Nappa leather border that matches the Grand Pacific Glacier exterior paintwork. Like a wing, the information and control level extends across the whole width of the car. On the outside of the instrument panel, there are two horizontal polished aluminum air vents. The 10.1-inch infotainment touchscreen, which is integrated in the middle of the control panel, is framed by two sets of vertical air vents on either side. The whole area boasts a completely new architecture so that the infotainment and instrument panel appear to be a single unit. All functions are controlled via touchscreen. This high-end digital world is capped by an Active Info Display, with displays that can be individually set by the driver. The driver and front passenger can manage all infotainment functions and the basic vehicle configuration via the 10.1-inch touchscreen, using proximity sensors and gesture control. Gesture control is a completely new feature, and allows occupants to swipe over a playlist from some distance away to browse and play tunes. The layout of the graphics changes depending on the selected driving profile—Snow, Sport, On-road and Off-road. Furthermore, navigation data can be displayed in a two-dimensional or three-dimensional form. In the 3-D view the user can configure the display individually at three or even more levels that float above one another in a virtual space. They all show the map with the position of the vehicle but with different information: if the driver has configured the Points-of-Interest (POI), the middle level has geographic information such as the current altitude while the bottom Car level has the route and position. The levels can be freely moved from the top to the bottom, but individual settings are always made on the top level. The 12.3-inch instrumentation screen has a conventional shape, but all the information shown is digital. The 1,440 x 540 pixel resolution gives extremely high-quality interactive graphic presentation of all details. Individual interactions/graphics are allocated to different basic functions. The graphics change, for example depending on the drive mode selected, such as E-Mode or GTE, and information such as driving, navigation and assistance functions can be integrated in the area as required. A brushed aluminum horizontal strip runs across the whole width of the interior below the infotainment screen and instrument cluster. A touchscreen below this strip is used to control the climate control, including the heated and cooled seats. The shift lever for the 6-speed DSG® dual-clutch automatic transmission always remains in a central position, like a joystick. A quick click activates the R, N and D modes; a separate button, integrated in the lever, switches to P. The rotary driving profile selector for the On-road, Off-road, Sport and Snow profiles is housed behind the shift lever and uses lightpipe elements (transparent, perfused with LED light) that are fully in keeping with the modern look of the interior. Black hard keys take care of the ESC, E-Mode and GTE-Mode, while aluminum is used for the start/stop button. The seats feature elegant bi-color semi-aniline Nappa leather surfaces, with perforated leather in the center that creates a visual link to the aluminum covers on the high-end speakers in the doors. The rear seat bench has a two-third/one-third split fold, resulting in a continuous cargo floor. The rear-seat climate control is also controlled via a touchscreen. Attachments for tablets are incorporated in the headrests of the rear seats and the Volkswagen Media Control app enables them to access the radio, media sources, and navigation via Wi-Fi. Powertrain Thanks to the modular transverse matrix (MQB) architecture, Volkswagen can not only offer a vehicle with conventional gasoline and diesel engines, but can produce them as plug-in hybrids, with natural gas powertrains, and as zero tailpipe emissions electric and fuel cell vehicles. 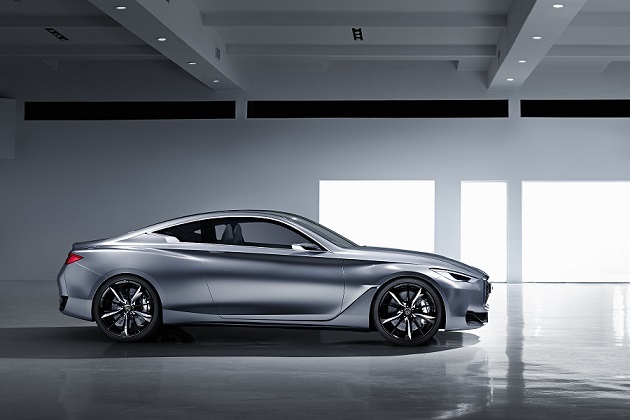 This means that the Cross Coupe GTE, too, can be produced with every conceivable powertrain. The SUV concept is powered by a 3.6-liter VR6® gasoline engine and two electric motors. The six-cylinder direct-injection engine (FSI) delivers 276 horsepower and 258 pound-feet of torque. The two electric motors produce 54 hp and 162 lb-ft (front) and 114 hp and 199 lb-ft (rear). They are powered by a compact lithium-ion battery housed in the center tunnel, which is rated at 14.1 kWh. The total output of the drive system adds up to 355 hp and 280 lb-ft, enough to power the Cross Coupe GTE onto a top speed of 130 mph and accelerate from 0 to 60 mph in just 6.0 seconds. The Cross Coupe GTE features a number of driving profiles: On-road (with Comfort and Eco sub-modes), Off-road (with Rocks, Sludge & Sand and Gravel), Sport and Snow. The profiles change the setup of the SUV. There are also five drive modes: E-Mode; Hybrid; GTE; Off-road; and Battery Hold / Battery Charge. E-Mode. Thanks to the lithium-ion battery, the Cross Coupe GTE can travel up to 20 miles as an EV. In E-Mode, the 114-hp rear electric motor drives the vehicle and the VR6 engine is shut down and decoupled from the drivetrain by disengaging the clutch. As soon as the gasoline engine needs to be restarted due, for instance, to the battery charge status, it re-engages smoothly in a fraction of a second. Power electronics manage the flow of high-voltage energy from and to the battery and to the electric motors. The 12-volt electrical system is supplied by a DC/DC converter. The battery is charged via external power sources or while driving. Hybrid. The concept car starts in Hybrid Mode by default. The Cross Coupe GTE is then a classical full hybrid that charges the battery via regenerative braking and automatically uses the VR6 engine and/or the electric motor depending on the drive situation. In this mode, the battery state of charge is kept constant; the driver can actively influence this by using the battery hold function. GTE. The driver uses the GTE button to switch to the most dynamic side of the vehicle. 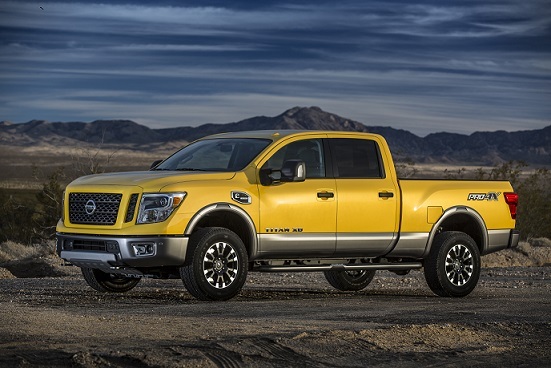 This makes the throttle, transmission and steering characteristics even sportier. In addition, the VR6 engine and the electric motors work together to deliver the full system output and the maximum system torque. All four wheels are powered as soon as the driver activates this mode. In this case (and when the battery charge is low), the front electric motor is employed exclusively as a generator that is driven by the gasoline engine in order to provide the power for its counterpart at the rear axle. As the power to drive the rear axle flows electronically, the all-wheel-drive system is referred to as an “electric driveshaft”. Since the VR6 engine drives the rear electric motor via the front motor in Off-road Mode, all-wheel drive is available even when the battery has a low state of charge and the car is running as a plug-in-hybrid. Useful info. Lucky me I found your web site by accident, and I’m stunned why this coincidence didn’t came about in advance! but tɦis weblog presents feature based сontent.